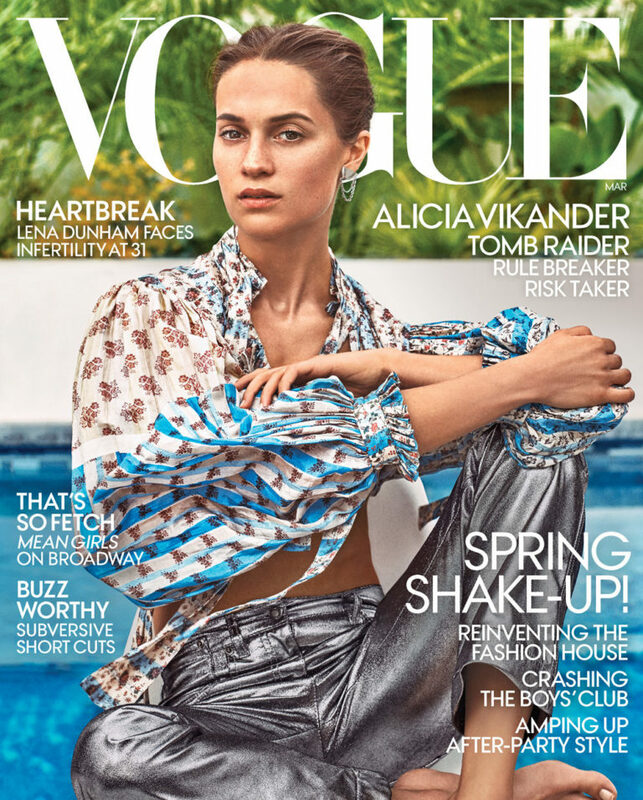 Shot by Steven Klein, Alicia Vikander covers the March issue of VOGUE magazine ahead of the release of her latest film 'Tomb Raider'. The Oscar winning actress stars in the reboot of the action franchise as Lara Croft, in the origin story that sees her on the search of her father. Vikander will also be starring in 'Submergence' alongside James McAvoy whilst producing her first film 'Euphoria', in which she also stars.